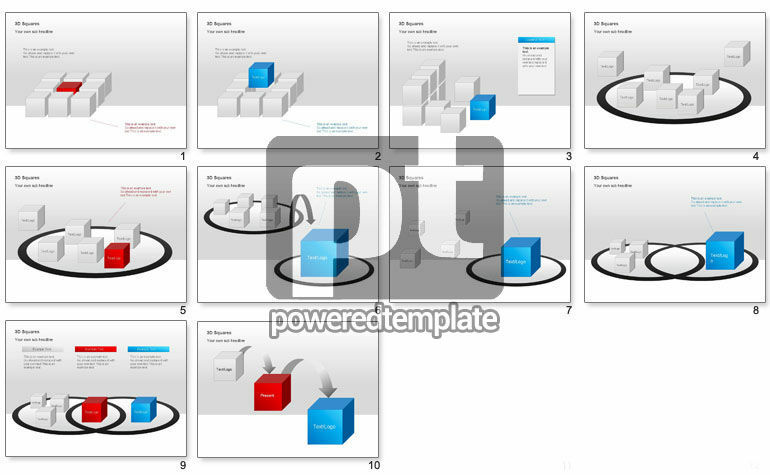 These presentation slides 24516 are complete compatible with Google Slides. Simple download PPTX and open the template in Google Slides. Very visual representation of the data and information depicted in 3D boxes. Structure up your data using this collection if you like old-school box style, but it can also be used for thinking outside the box motivational texts.